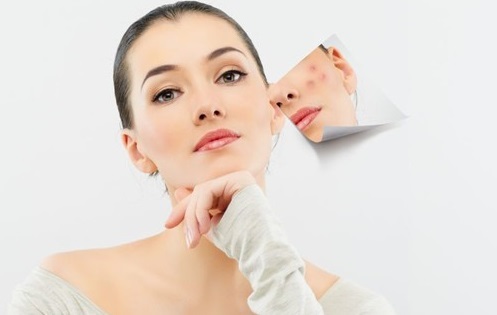 Skin acts as a barrier and also the first line of defense in the body. When the skin is injured, our body reacts by killings the microbes which have invaded the wound and clotting the blood in that area. The blood flow stops as a result and a scab is formed at the wound site. This scab acts as a barrier from more invading germs and also as a layer of protection when the wound is healing. Most of the time the healing happens without a problem, but sometimes it can get infected and could cause lots of embarrassments, especially when it's on face. So you should know how to heal scabs fast on face. If you are wondering this issue, then the following solutions are what you want. If the wound site is bleeding, apply pressure on the site using a piece of clean gauze till the bleeding stops. Using mild soap and water to clean the wound thoroughly and ensure that the wound is clean and dry. You can apply a cream or ointment – antiseptic or antibiotic in nature. If the wound is large, you can apply a bandage or gauze to keep it protected. If the scab is caused by acne, you should apply acne cream about 10 – 15 minutes after cleaning the wound or apply a thin layer of antibiotic cream after 30 minutes. Wash your hands thoroughly before applying cream to avoid contamination. Check the ingredients of the cream and ensure that it contains either salicylic acid or benzoyl peroxide. These creams are responsible for keeping the area dry, hasten the healing process and prevent new acne from developing. The wound site should be cleaned twice a day with either an acne cleanser or an anti-bacterial soap. Use clean wash cloth to cleanse the area in circular motions. Wash thoroughly with water and pat dry with a separate wash cloth. Do not reuse the wash cloth, as it can transmit bacteria. Using a clean washcloth, dipped in warm water, apply it against the scab as a warm compress. Continue this for 10 minutes and do this twice a day. The warm compress increases the blood supply to the site and fastens the healing process. The scab also softens due to the warmth and moisture. Aloe Vera has lot of properties which makes it a wonderful healing agent. It is cooling, soothing as well as astringent. The gel helps in removing the toxins, while healing the acne. You can buy Aloe Vera Gel from health store and apply a liberal and thick layer of the gel on the scab. Apply it sometime before going to bed, so that it dries up and creates a sort of Band-Aid. It will not wipe off easily during sleep. Similar to Aloe Vera gel, the Calendula Gel also dries up to form like a layer of liquid Band-Aid on the skin. It also should be applied in a thick layer, which will later dry and form a protective layer. Calendula gel helps in reducing the redness, heals abrasions, cuts and acne, and is an anti-inflammatory agent as well. It also helps in reducing pain and can be helpful when the area is tender. Manuka Honey is the honey produced from the nectar of Manuka tree and is mainly from New Zealand and Australia. It has lot of beneficial properties, like anti-bacterial, anti-inflammatory, anti-fungal as well as anti-viral. It moisturizes the skin and also helps in reducing the redness while soothing the skin. If the scab remains moist, it will heal faster. So a thick layer of manuka honey should be applied and covered with Band-Aid. The itching makes it very hard to not scratch or pick the scab, however it is best to avoid. Picking will open up the scab, allow bacteria to enter and cause an infection, scarring or prolonged healing process. Anti-itching cream can also be used for those who cannot resist the itching. When make-up is applied to the skin, it forms a layer which does not allow the skin to breathe. It will also prolong the healing process and cause the scab to be rubbed off before being completely healed. Rubbing or wiping your face can cause the skin to tear and the scab to be pulled off before fully healed. After washing pat dry the skin lightly with a clean towel. Although it is important to keep the scab protected, not all require to be covered in bandage all the time. If it is small and the scabs are less, it can be kept open. However, in case of a large wound with lot of scabbing, covering it with bandage can be helpful.